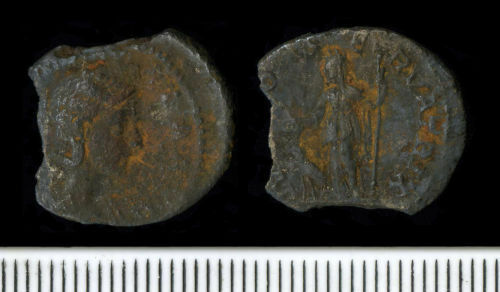 An incomplete denarius of Julia Paula dating to the period AD 218 to 220 (Reece period 10). IVNO CONSERVATRIX reverse type depicting Juno standing left. Mint of Rome. RIC IV, Pt II, p. 46, no. 219. This coin is incomplete with sections of the circumference of the coin missing at 9 and 12 o'clock. The damage appears to be modern rather than ancient.